You are here: Home / Property / How do you find the ideal tenants for your rental property? How do you find the ideal tenants for your rental property? We’ve all heard the horror stories – tenants ends up trashing a rental property then leave with no forwarding address. Don’t panic – the vast majority of tenants are trustworthy. However, ‘Tenants From Hell’ are out there – and it’s the last thing you need as a landlord. Here are some tips to ensure a happy relationship. Whether you’re handling this yourself or you have employed property managers to handle the day-to-day running of your rental property, make sure you check with former landlords – but don’t take everything they say at face value. Some people sugar coat references for a number of reasons: they want to move their tenant on; they are aware that libel laws apply to references and are afraid they will say the wrong thing; or they just aren’t aware of certain facts (such as a nasty surprise that awaits them after the tenants vacate the premises). When asking questions of the referees, it’s best to stick to asking facts, not opinions: do they pay their rent on time; did they (the previous landlord or property manager) perform regular inspections; are they planning to return the full bond to the tenant once they leave? If there is any hesitation in answering factual questions, it may be for a reason. Credit checks are also recommended, but you’ll need written permission from the applicant. 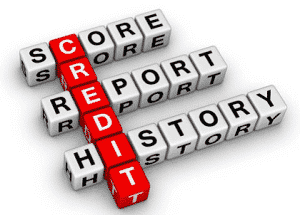 However, even the most trustworthy of people can have a black mark on their credit rating for one reason or another. If they’ve offered a contact number for their employer, ensure that it’s a landline and not a mobile. It’s also a good idea to call the main switchboard and ask for the employer by name, just to ensure the bona fides of the reference. And remember, if you are planning on asking for written references, you must ensure that every referee is actually contacted (and reached). What else should you look for? Vague answers, discrepancies and avoidance. If anything on their reference doesn’t correlate with another person’s (for example, if they write down a referee phone number incorrectly) it may be more than just a simple mistake. After all of the above, it’s only natural to be cautious, however wise it is to do the proper checks, if you put a potential new tenant of your rental property through so many hoops that the process becomes too hard, you may risk scaring off ‘the right one’, At the end of the day, a little common sense goes a long way. Getting the right tennant is most important.